With so many different party options for you to choose, you could come back year-after-year and have a unique party every time! It’s super fun and easy, and the end product is amazing. Your guests choose from any of our candle making designs. Our friendly staff will teach you how to create your own personal, unique pillar candle that can express your creativity. Your guests choose from any of our $14 ceramic options. Or allow your guests to upgrade their pottery selection at an additional cost. Themed parties are a great choice when you want more hands-on activities for your guests! You choose from one of our themed party designs which will be instructed to all of your guests. 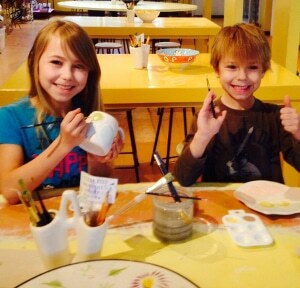 Canvas painting is not just for adults! 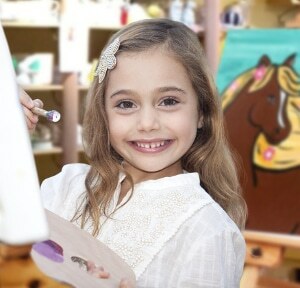 Let them enjoy one of our instructor-led canvas painting sessions. You choose one of our canvas designs and our talented instructors will guide your guests step-by-step to paint a masterpiece. A dedicated instructor to conduct your party! Your guests take home their canvas painting the same day! A great choice for small groups when you can run the party! 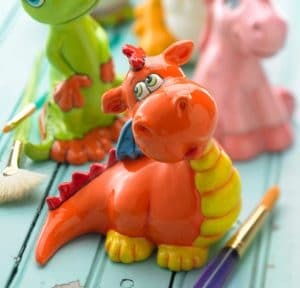 We give you a variety of pottery to choose which will work within your budget. ** We highly recommend upgrading to a party leader with younger children!